Kev Lee throws down at the BRCA Nationals held at Stotfold! – Tekin – Smaller, Smarter, Faster! Kev Lee throws down at the BRCA Nationals held at Stotfold! 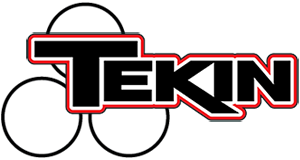 Team Tekin’s Kev Lee dominates at Stotfold! The final round of this years BRCA National Series headed to Hertfordshire held at the Stotfold R/C club. National finalist Kev Lee Tq’d with his Tekin powered X Factory car from fellow Xfactory team mate Ellis Stafford and Tamiya’s Lee Martin third respectively. In A1 Ellis would take the win with Kev Lee right on his heels. The positions would be the opposite for A2 when Kev broke away from the pack led by Ellis which would make A3 a must for either Kev or Ellis to take the overall win. Kev once again would show the power of the Tekin electronics running away again from the field taking the overall win ahead of Ellis and the rest of the drivers. In 4wd Kev Lee again would take overall Tq with his Tekn powered Team Xtreme Predator ahead of Schumacher’s Simon Moss (2nd), Lee Martin’s Tamiya(3rd), and the Associated of Paul Bradby(4th). Kev would run away with A1 and A3 taking the overall win. Kev was simply at a different level this weekend with his Tekin powered Predator.